The following healing meditations are beneficial for clearing, cleansing, activating, tuning, opening, rejuvinating/energizing, grounding or balancing the Solar Chakra (Manipura). 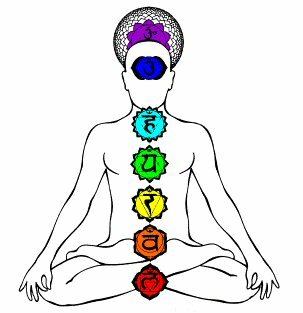 The solar (navel) chakra is located on the spine just above the naval. It represents our connection to fire and to our will and personal power; it is associated with inner strength and taking physical action in the world, and also related to our 'gut feelings', and qualities that relate to force, agression and purification which are the essence of fire.